Over the next few months and the coming year, you'll be witnessing the continued growth of Wendi Dee and Pure Jeevan in ways you might not ever have imagined! So, stay connected and let us know your thoughts about the changes that are (and will be!) taking place. We're not here for ourselves, we're here for all of you and for those who don't know about us (yet!). We have a mission: to share our stories and inspire others to fully embrace their lives and be all that they could ever desire (including healthy, happy, and vibrant)! This is a long post, even though I tried to keep it brief. It's mostly a personal entry, but I wanted to share things so that you know a bit about what's going on with me and Pure Jeevan, now and in the near future. 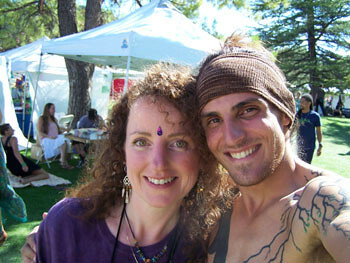 I'll break it up a bit with some more photos from Raw Spirit, the most therapeutic and life-changing event of my life. 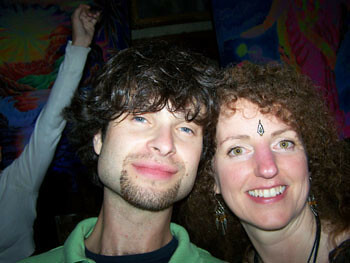 In a past entry, I said I'd be sharing more about myself and relating some stories of amazing healing that took place during the Raw Spirit Festival. While the healing I witnessed was within myself, some of the changes that came with it directly affected someone else in my life. I'm not an overly private person, but for the sake of the other person's privacy I can't share details of everything that happened. However, I will share as much as I can. I strongly believe that the more we share of ourselves, the more we can help others in ways we may not even be able to comprehend. As I share with you, I hope you'll share with me, as well! 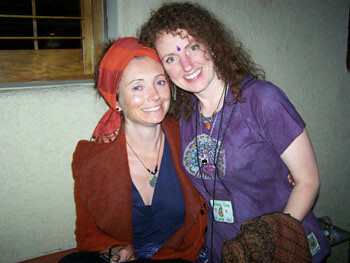 While away at Raw Spirit some pretty amazing healing took place. I found myself lifted out of the past and delivered to the future, in a way. I am here, whole, and aligned with who I am on all levels. For those who have witnessed my transformation over the past few years (from being obese, silently depressed, and ill to becoming healthy, happy, and vibrant), you may be wondering what healing could possibly be left to take place. Since we are so much more than just our bodies, even if we are looking fit and healthy there may still be a lot of dis-ease that isn't so obvious to others. That was the case with me. If you've read through any of my past Going Raw Journal entries, you'll know that I began seeing a therapist a few years ago. The doctor's diagnosis was clear: I have solely suffered from Post Traumatic Stress Disorder (PTSD) from as early as four years old. I've learned a lot about PTSD since the diagnosis; it's amazing how our minds do anything possible to keep us protected from future harm. Something interesting about PTSD is that as time goes by, future experiences can many times trigger the mind to deepen the self-preserving protection it thinks is necessary. We become tightly wound, deeply cocooned and protected from anything and anyone the mind sees as potentially harmful. On one level this seems like a positive thing---we all want to survive, after all---but, the mind doesn't always work in ways that are truly beneficial for us. Over the years I've learned about PTSD, realized it was important for me to openly share my thoughts and feelings with others (rather than keeping them stuffed inside), and released a lot of stored memories and fears related to much more than sexual abuse.However, with all the healing that took place I still suffered from low self-esteem, fear of male strangers, and a nearly nonexistent libido, among other things. Therapy definitely lessened my suffering from the fear and self-esteem issues, but they were still there. 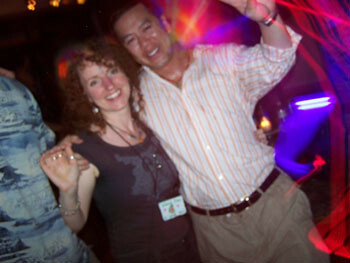 Something happened while in Sedona at the Raw Spirit Festival, however.Was it the famed vortex energy, being away from family and responsibilities, the spirit of the festival, the energy of thousands of lovely vibrating beings collected together, a combination of all those things, or something else? I don't know if I'll ever be able to find out exactly what caused the changes within me, but there is no doubt that the person who returned from Sedona wasn't the same as the one who left.As the time passed at the festival, I felt lighter, happier, and healthier. I was in crowds of strangers and didn't have any fears, I walked alone to my hotel room (sometimes in the dark) and never feared male strangers approaching me. As the days went by, I felt my shyness and self-esteem issues disappear. I found myself experiencing true joy and laughter stirring from within my core and bubbling up and out of my body. I'm not just saying this, either, I really felt it---how strange to feel laughter, true laughter, for the first time. It tickles, in a way! It feels strange in a most wonderful way. I was giddy, joy-filled, and filled with bliss that came from simply existing.Life was a walking meditation, in a way, and the bliss flowed from within and all around me. Even though I lack the skill to explain all that took place, I really want to try. I found myself awake again, aligned with my true self, alive and vibrating and feeling things I had possibly never felt before. This is going to sound very strange, but I found myself awake again at the age of 24. It was as though I had fallen asleep at that age, lived through some sort of dark, disconnected years as less than whole, and then woken up there in Sedona as my true self again. Of course, we are always whole---just not always fully aligned. 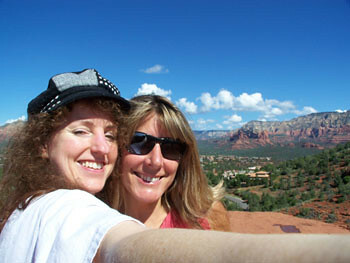 In Sedona I became aligned again, fully myself, a 24-year-old young woman in an older version of my body. At that age I wasn't a mother, I wasn't married, I wasn't insecure, and I wasn't filled with so many fears---I was young, alive, filled with confidence and a joy of being with others in so many ways. There were catalysts there, people who propelled me deeper into the healing that was taking place. Many of them sensed that they were part of something bigger that was going on within me. If they are reading this, they know that I will forever be grateful for the ways they touched my life and helped me grow and blossom. With growth comes change. Remember, I woke up as a 24 year old, unmarried and without a child, confident young woman. Try to imagine leaving that place of rebirth and returning to a life that was lived as less than myself, almost with a veil of darkness covering my existence. I cried for days and my family couldn't understand what was going on. How could I explain something like this to them when I don't even fully understand it myself ? ?There I was walking through my front door into a home that felt like it belonged to someone else, embracing those I loved so deeply on many levels but who didn't really know who I was anymore, going back to the life of an older woman when I was young. I felt like I had grown wings there in Sedona and they were being clipped so that I couldn't fly when I returned from Sedona. Thank goodness for therapy. I had learned over the past few years how important it is to not keep things stuffed inside. So, I let it all out...shared my thoughts and feelings and experiences with my loved ones. Some of the healing that took place was hurtful, however. But, in openly sharing and causing that pain for another (not intentional, of course), my changes began to ripple out and cause changes for others. 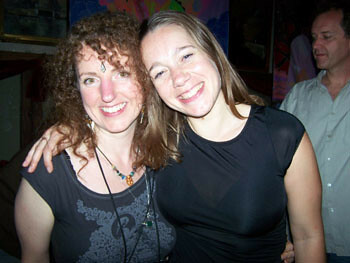 That brings me to sharing a bit about how all of my changes will affect you, too, through the growth of Pure Jeevan. 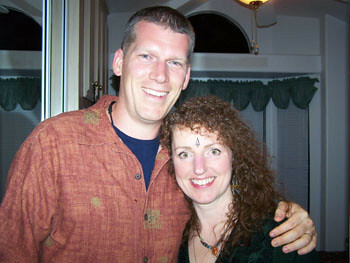 Over the past few years, my raw transformation has been affecting my husband, Jim, more and more. Over a year ago, Jim agreed to some major life changes because I said I could no longer live a corporate lifestyle. He agreed to help me with technical aspects of Pure Jeevan, but his heart wasn't into anything he was doing for me. My transformation after Sedona, however, affected him on such a deep level that it brought about life-altering changes within his own core. We sometimes joke that the famed vortex energy was so strong that some of it came back with me and he experienced its life-altering magik second hand.The truth is, however, when someone very close to you changes so drastically your life can never be the same again, either. With Jim's changes came a fuller understanding of who I am and how important my visions for the future are. My entire life I cared for everyone else and neglected myself. However, over the past few years I've been slowly taking care of myself, first. My full realization of how important I am as a human being came to me when I was in Sedona.I can no longer stand in the back of a room and neglect what I am here to do. I will be following through with my visions and goals with much more determination and dedication. When Jim saw all of these changes, and more, in me he began to see for himself how my vision wasn't for myself, it was for others. Just about all that I do, I do for others. That's just who I am and I have embraced that about myself. Jim has seen my vision for the future and he has embraced it. 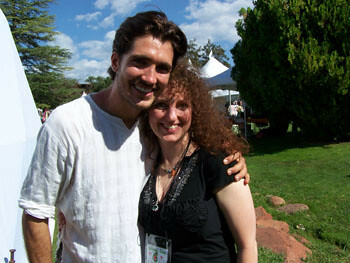 He is fully supportive of all that I want to do for the raw and living foods community. He has become a full partner in Pure Jeevan and will be helping me with more than just the technical aspects from now on. Pure Jeevan is growing in more ways than one. All of my projects will be moving along at a faster pace with Jim's full support. You'll be witnessing all kinds of changes with Pure Jeevan (both here on the Web and also out there in the physical world). I'm here to serve our raw and living foods community and anyone else who is interested in learning more about health and living a fuller life. There are projects we are working on that range from small (one of them will be announced tomorrow), medium (coming to life in the near future! ), and GRAND (continually being worked on, but this one is going to take a significant amount of time and resources to manifest). So, stick with us and watch our growth! Be sure to share your own growth and experiences with us, as well. Together we can continually inspire each other to not settle for a stagnant existence---we can not only reach for the stars, but we can become them as well! Shine bright, my dear friends! 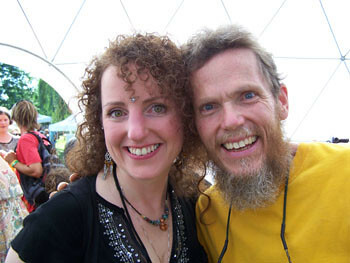 Some more pictures of Wendi Dee with others at Raw Spirit Festival. Sweet Wendi.....I feel so moved as I read this entry and appreciate learning more about the beautiful transformation of which I've only had a glimpse. The light & love you bring to so many of us is a true gift, one which I deeply cherish. Your photos bring back a flood of memories and I look forward to the time when we'll all be together again! I LOVE YOU and your beautiful family!!! You're a beautiful, shining star, unlike any other I've ever met. I can't wait to travel the world with you and teach others how to bring peace, joy, and vibrancy into their lives. Congratulations on your new life and all the wonderful growth, Wendi. I always feel so much love from you and for you. I know your new projects will help so many. Thanks for such an amazing post, Wendi. I'm looking forward to hearing about all that you do. 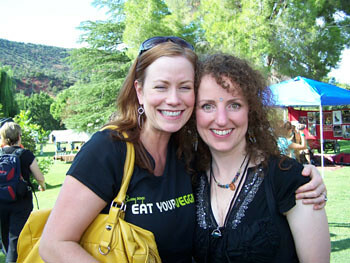 Wendi, thank you so much for your candor, sincerity and vulnerability. I too believe that it is through our honest exploration and sharing our stories that we truly and deeply heal. I am so glad that you have found your wings again and that despite the discomfort of growing pains, you, your beloved and pure jeevan are growing and thriving. I am sure amazing things are going to continue to arise from your general vicinity. Keep up the miraculous work. You are a true blessing to all of us! I find tha t your are an amazing young woman and your new knowledge of self has led me to go back into therapy. My flashbacks are very frightening. May The Almighty Creator continue to Bless you and your new you!!!!! Wow, thanks so much for your comment, Jen! It means so very much to me that so many support me in this path that I'm on. You, too, are a blessing to the rest of us! I love your energy and sweet spirit! Your comment has meant so very much to me. It's not easy sharing such personal information at times, but to know that in sharing I have possibly helped someone else along his/her path is extremely rewarding! Please let me know how you are doing. I give you love and support as you walk the path of healing through therapy. You'll find that therapy and raw foods go very, very well together!! Yes, all of my future projects are all for others---coming from a place of love. Helping others is what makes me happy. Thank you, Jim, for your loving comment. I, too, look forward to a time when we can all be together again.